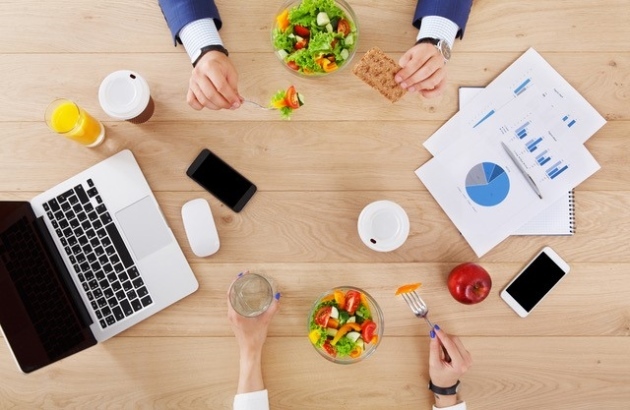 If you're like many companies, there's a good chance you have a workplace wellness program in place — maybe more than one — or a program that addresses multiple health components. But how well is what you're doing really working? Ideally, you want the program you're offering employees to not only improve their health and quality of life but also to cut healthcare expenses significantly and help your business run more effectively. Take an overview of how well your program is performing and make the changes it needs by using this advice. Many of your employees will gravitate toward the aspects of a program that help them lose weight first, so make that component easy to use. Offer multiple ways to access its benefits, from multiple group exercise options, to scheduling healthy meals each week for group lunches, to multiple counseling and information sources. A University of Minnesota study found that companies who effectively implement weight management steps in this way not only improve their workers' quality of life, but save up over $800 in healthcare costs per participant. Make accessing health data simple. Link your employees to a resource that will take the guesswork out of the steps they need to follow to make steady progress on the journey to improving their health. The American Heart Association offers a blueprint called Life's Simple 7 that helps employees easily track their heart health progress, graded through steps like not smoking, eating right, and reducing blood pressure and cholesterol numbers. Make sure you meet the needs of workers with chronic health conditions. Research from the RAND Corporation found that addressing the specific needs of employees with chronic conditions in wellness programs saved PepsiCo almost $4 for every $1 invested. Poll your workers as to what their health concerns are on an ongoing basis and provide specific assistance accordingly. Research has shown that workers who participate in workplace wellness gain about 10.3 hours per year in productivity. If you see a decrease in absenteeism and more motivated employees in your workplace, you know you're making strides. A running dialogue with your employees regarding what they like and don't like about your program is an invaluable gauge of its quality. When you check in with them often — and keep tweaking — everyone benefits! Lisa Mulcahy is an internationally established health writer whose credits include the Los Angeles Times, Redbook, Glamour, Elle, Cosmopolitan, Health, Good Housekeeping, Parade, Woman's Day, Family Circle and Seventeen. She is the author of eight best-selling books, including "The Essentials of Theater," an Amazon No. 1 new release. Her Contemporary Authors biography is available here.